Coming November 5, 2016. Experience the exotic culture of Morocco. Join ArcheoAdventures for their Majestic Morocco Women’s Tour, a 9-day, small group tour that explores Morocco with knowledgeable and engaging local female guides. 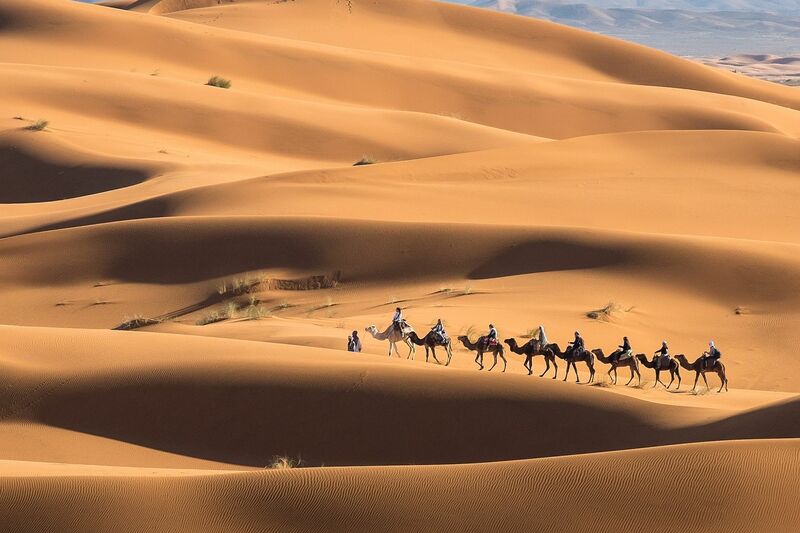 Highlights include a camel trek through the Erg Chebbi Dunes in the Sahara Desert with an overnight camping stay: a visit to Marrakech’s entertaining marketplace, Jemaa El Fna; a guided walking tour of the ancient city of Fez; an excursion to Hassan II Mosque, the third largest mosque in the world; and awe-inspiring views while driving through the High Atlas and Middle Atlas mountain ranges. An exciting adventure to the Kingdom of Morocco in North Africa that is not to be missed!